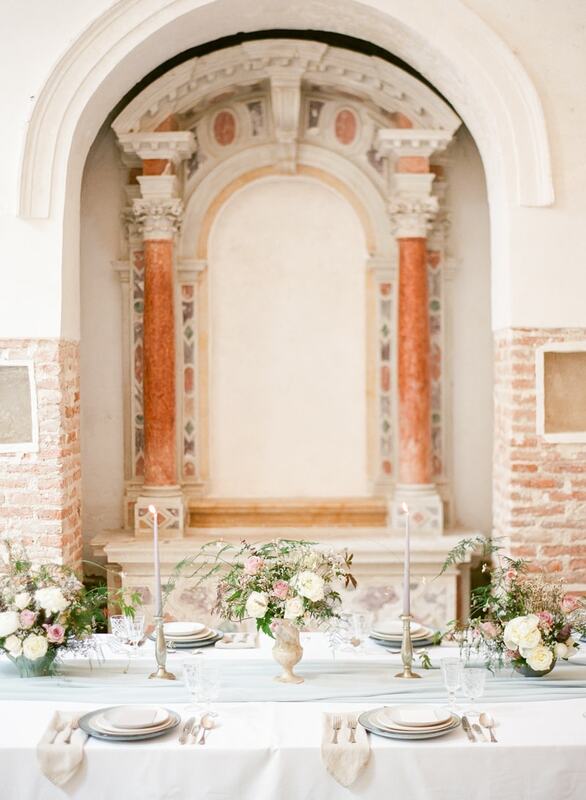 Venice Wedding Inspiration. 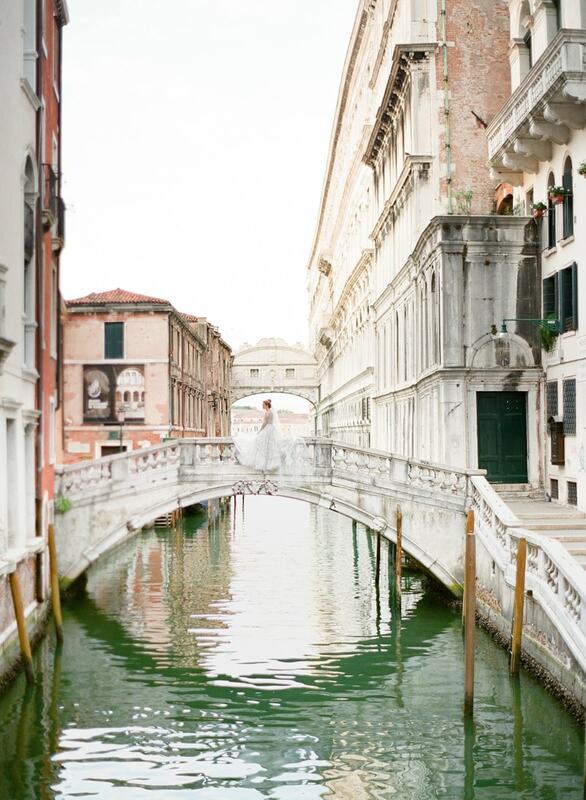 Known as "La Serenissima," the Italian city of Venice is imbued with wedding inspiration in a most serene way. 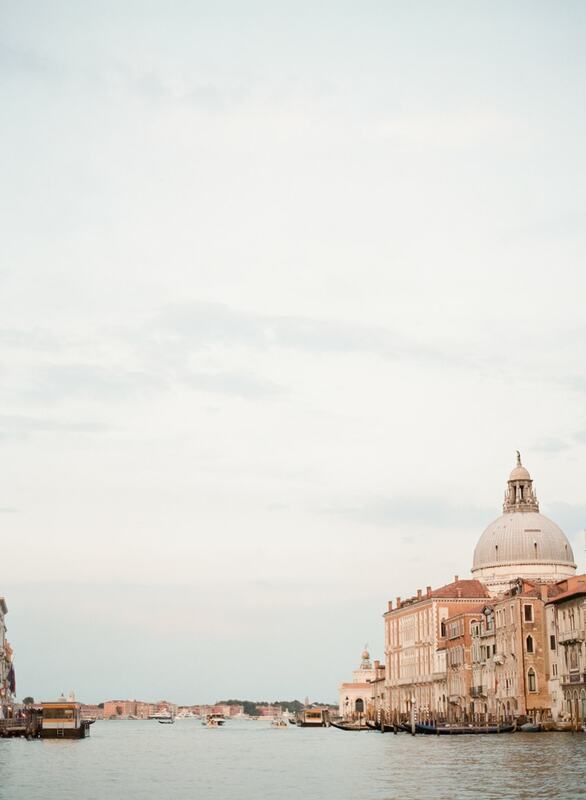 From its storied history and canals to its artistic expression and architecture, Venice never ceases to enchant when it comes to creating wedding magic. 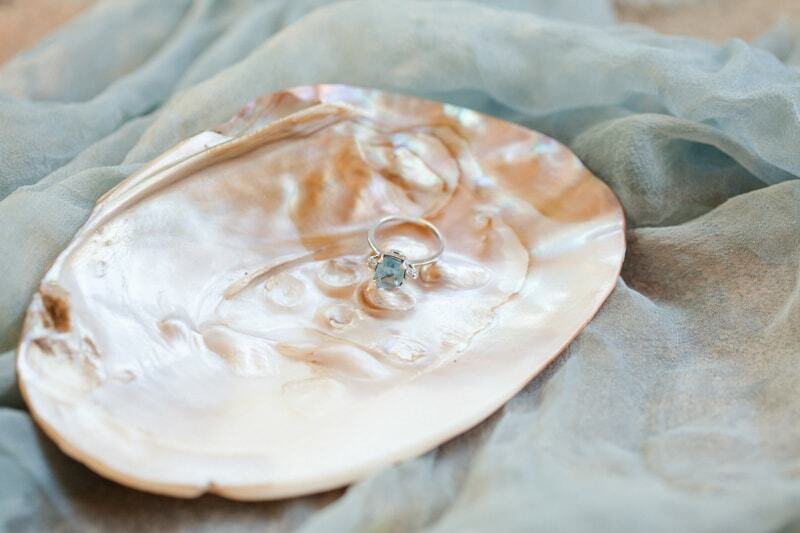 Many inspired elements in this shoot are romantic and timeless. 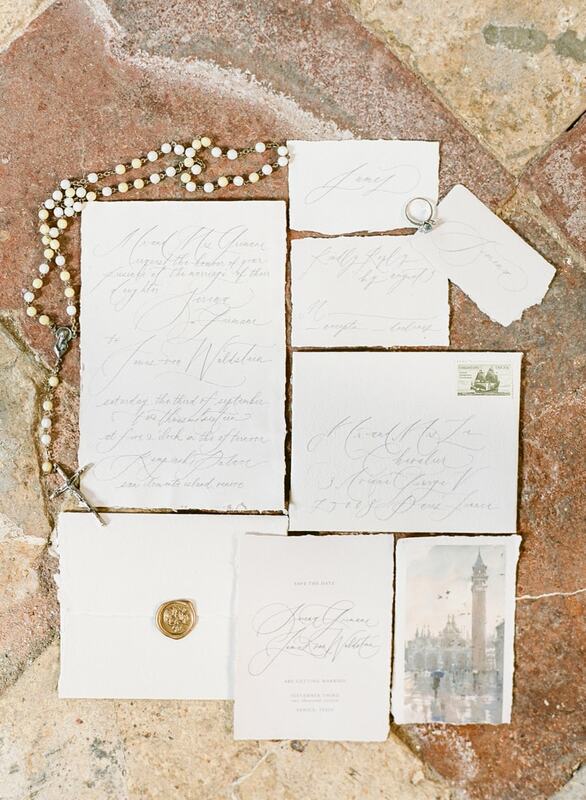 The invitation suite boasts old world charm with its rugged parchment, curling script, and image of the city. Water elements are key as the city is surrounded by water and known for its canals. A bride stands next to the water’s edge with a parasol, in a sheer blue top and long lace skirt. 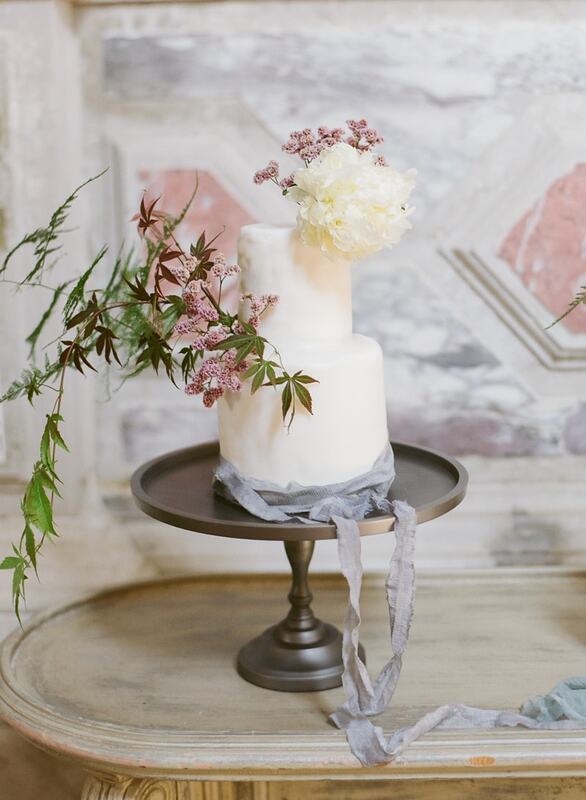 Florals abound and the bride shows off a hearty collection of blooms in soft lavender hues. 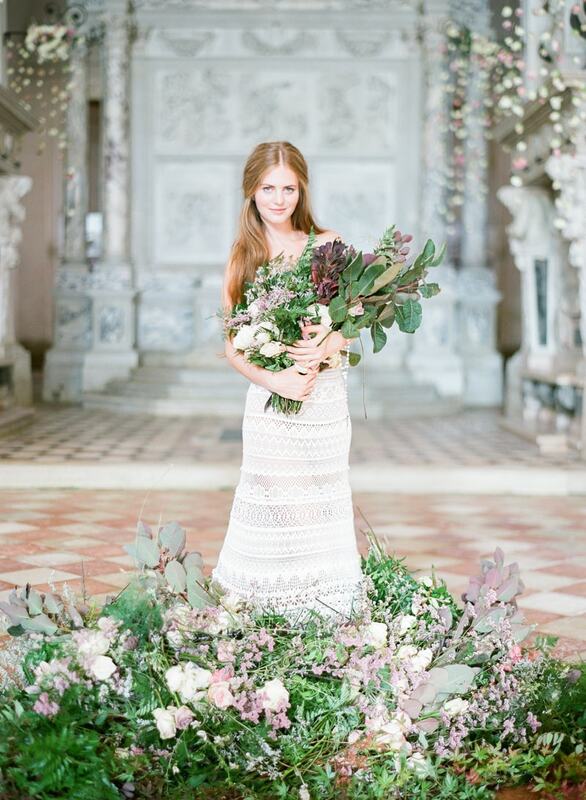 The abundant florals at her feet and in her arms offer both contrast and texture. 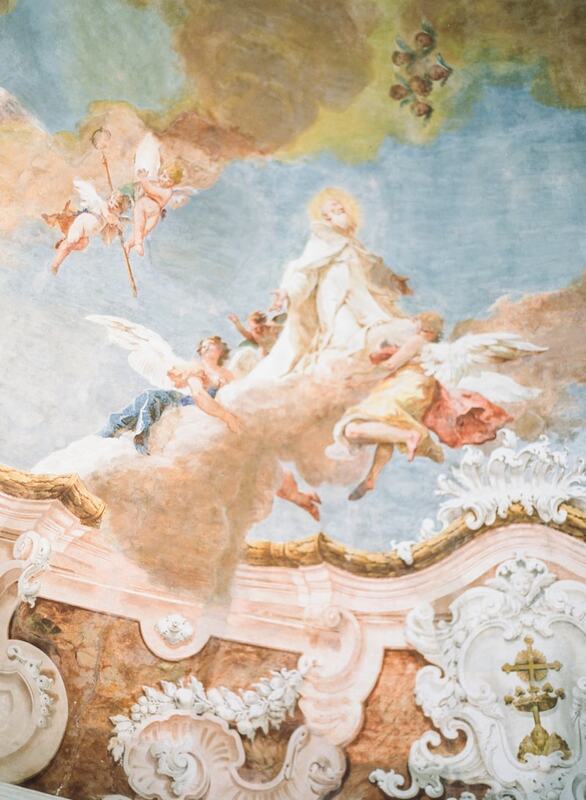 With such an historic city as its muse, this shoot captures much of the gorgeous architecture. From the cobblestone streets, a bride could don’t do better than finding a heavy iron door and whitewashed building from which to pause. 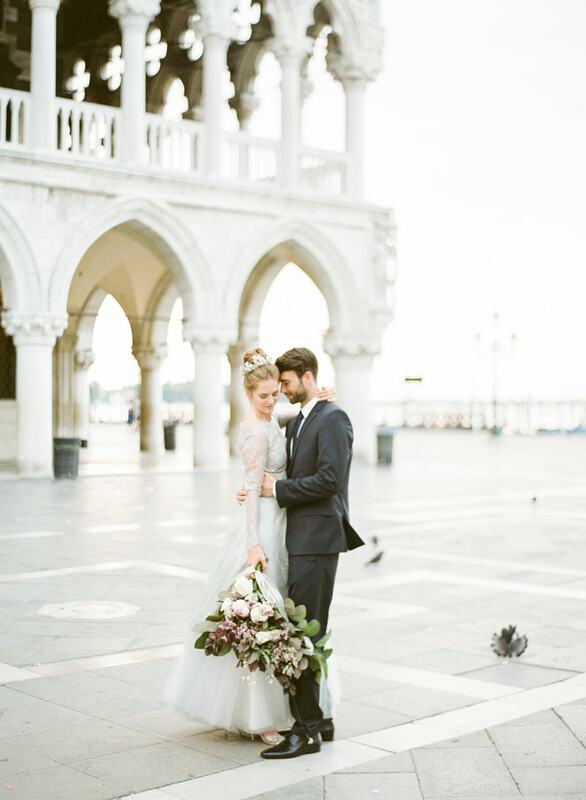 A groom joins the bride, wearing a classic black tuxedo out in the Piazza San Marco, before making their way around the city – crossing canals and admiring frescoes. 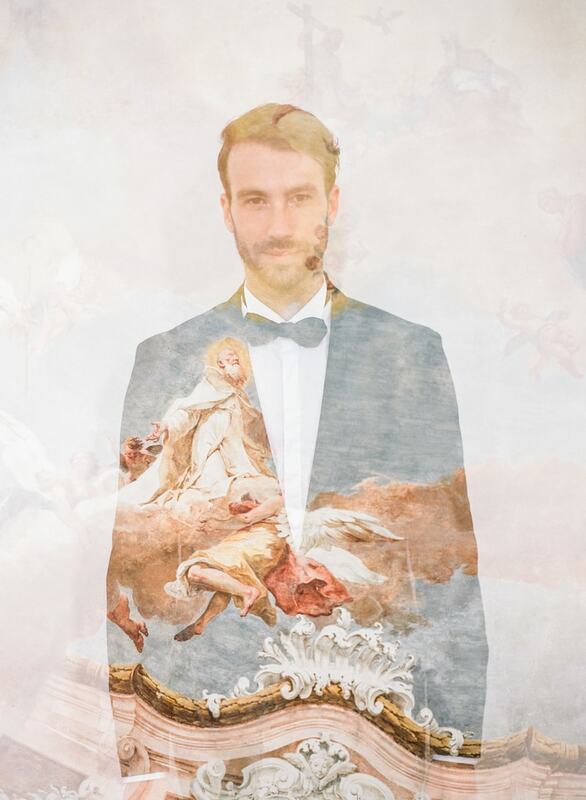 An intriguing double-exposure combines the paintings of the cathedral with the images of the couple. 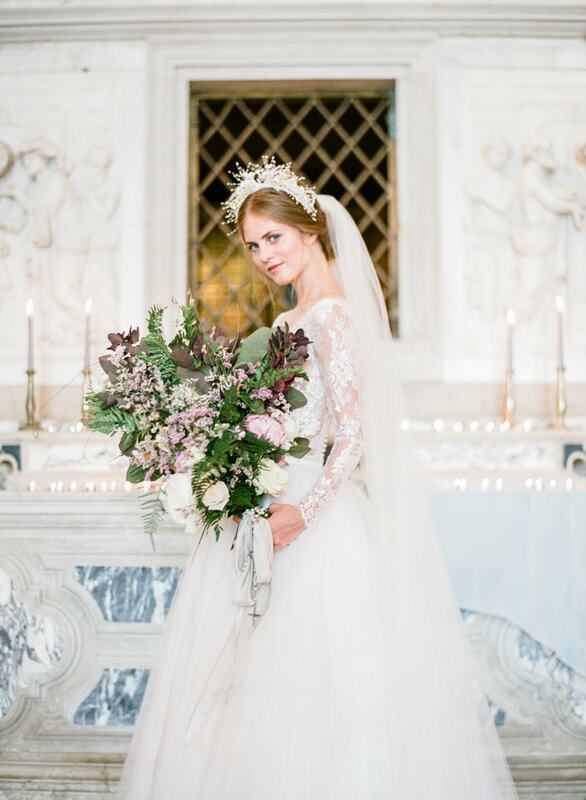 With a curtain of flowers before her, the bride looks stunning in a classic long sleeve lace gown and veil. 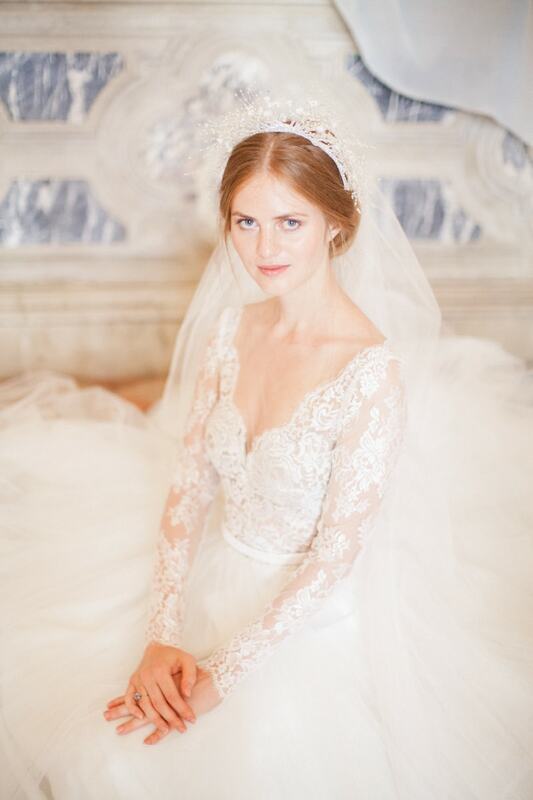 She completes her look with an exquisite tiara. 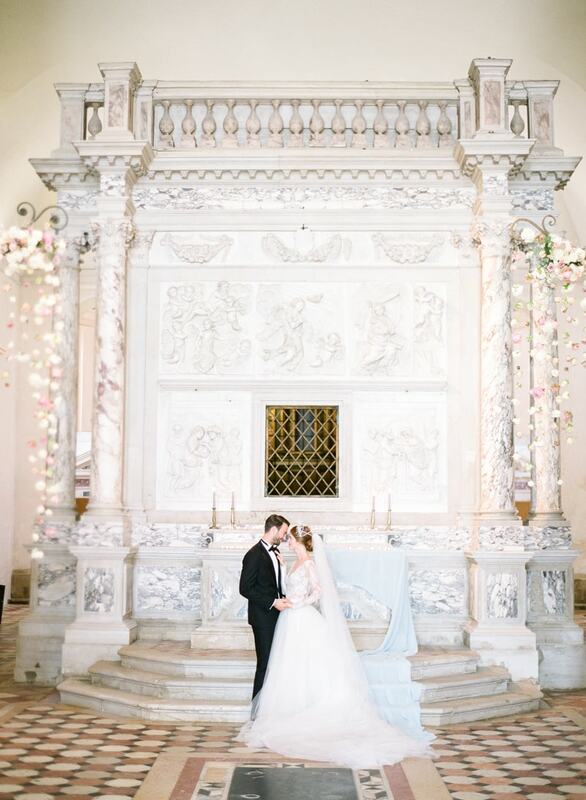 The bride and groom are a picture-perfect image of wedding day bliss as they stand at the altar of the church. 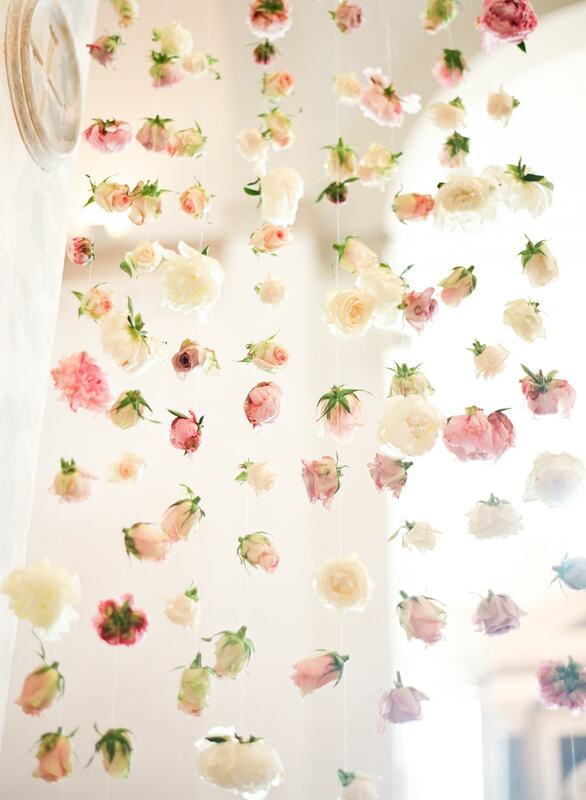 Outside, they are showered with rose petals in front of the floral-embellished entrance. A long table dressed in a white linen is a pristine and romantic way to kick off the celebration. 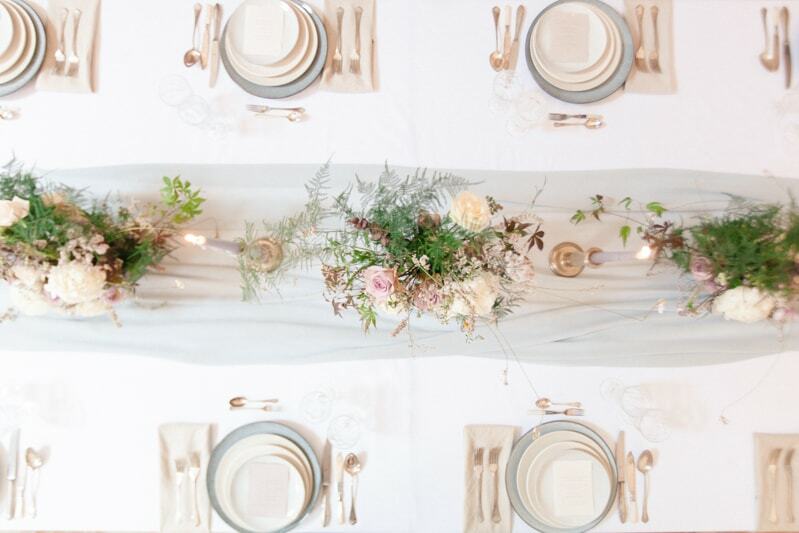 Tall taper candles, gold accents, and a lovely collection of light blue and white china complete the tablescape. 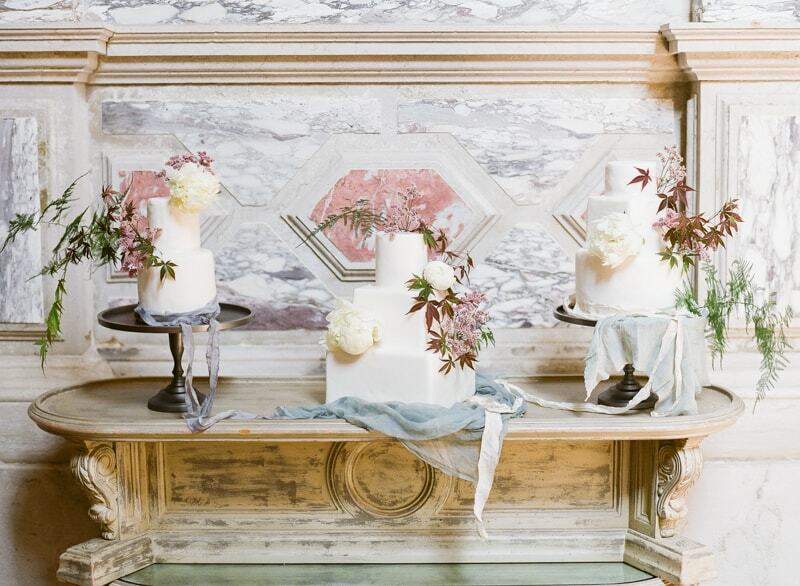 On a vintage buffet table, three cakes are presented in a most graceful way. 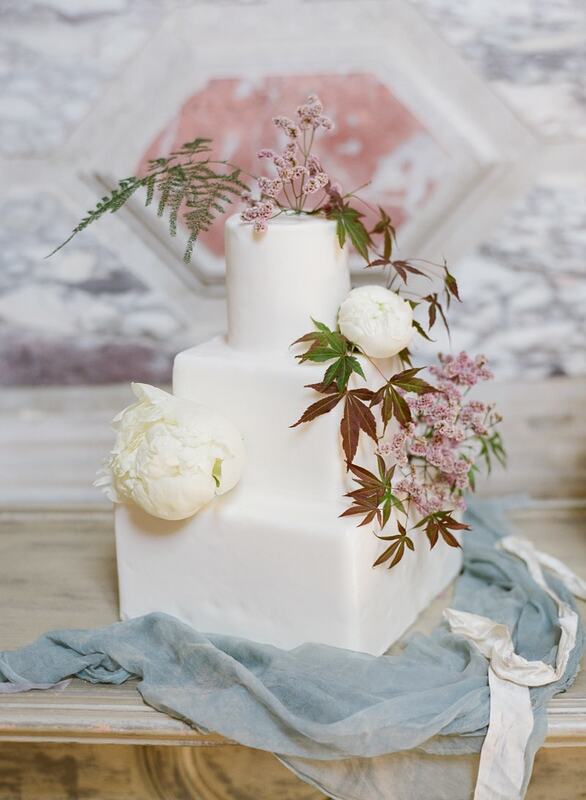 Two small cakes are anchored on both sides of a large, central one and all three are covered in white fondant and embellished with flowers and colorful fabric. The bride lets her hair down as they make their way to the canal. 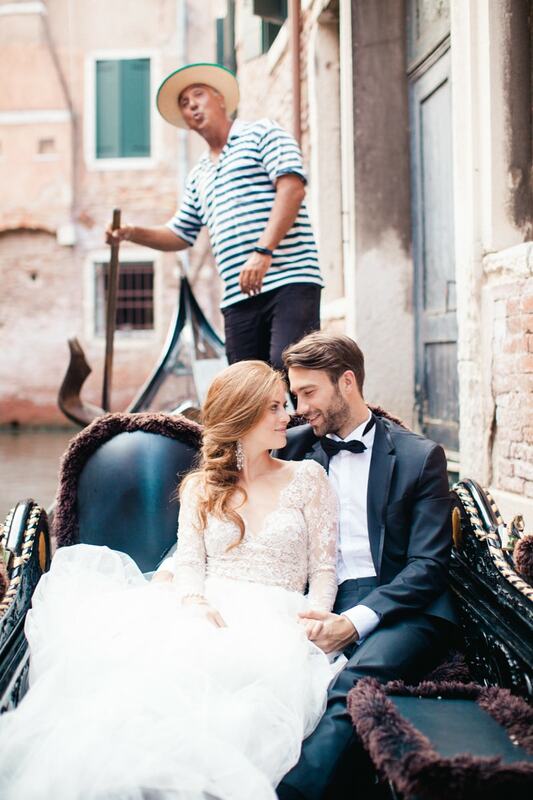 The bride and groom hop into a gondola and enjoy a romantic interlude on the water. 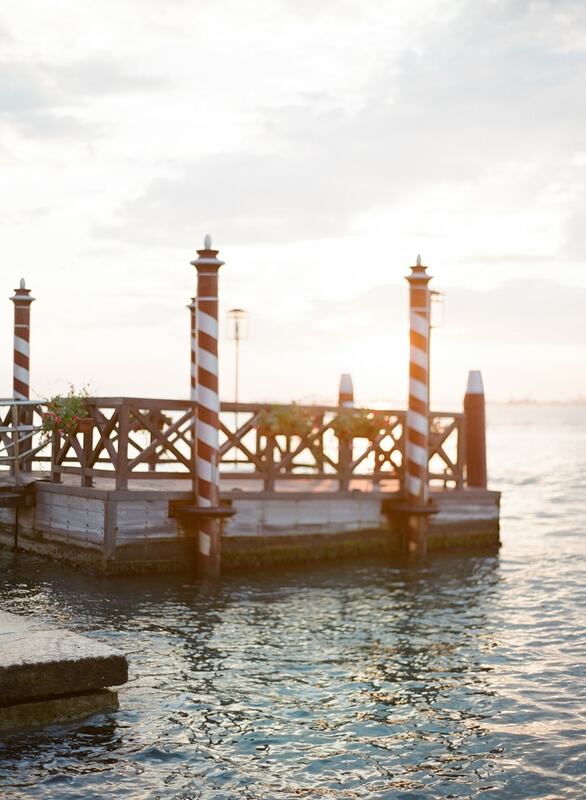 As the sun begins to set, the bride changes into a short reception dress that is modern, fun, and fabulous. It features unique cut-outs on the bodice and a short tulle skirt. 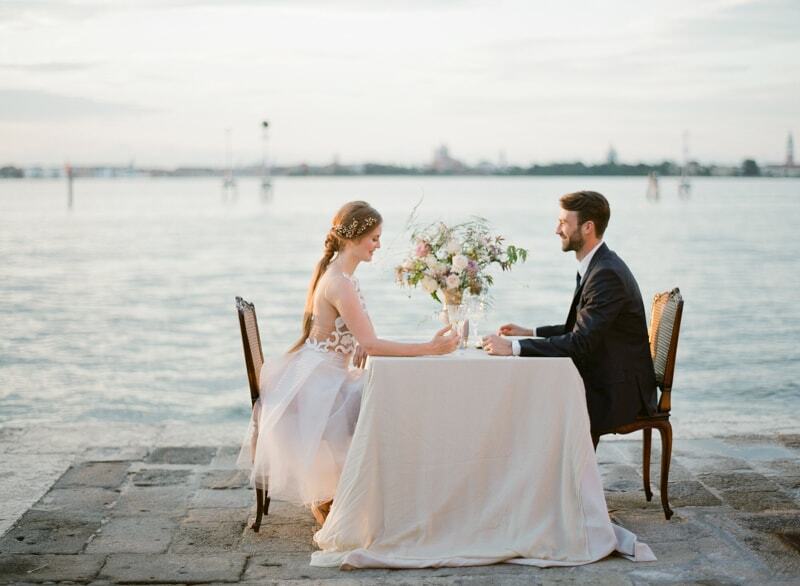 Together, the couple hold hands and enjoy a romantic table for two, admiring the view – not just of the water but also, each other. 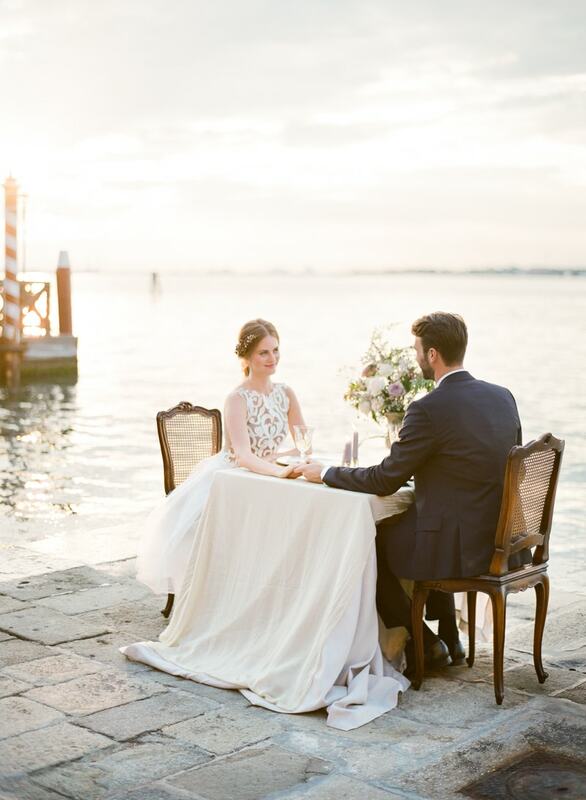 The inspiration from this Venice shoot evokes all of the charms of the city: artistic flair, rich history, and breathtaking views. 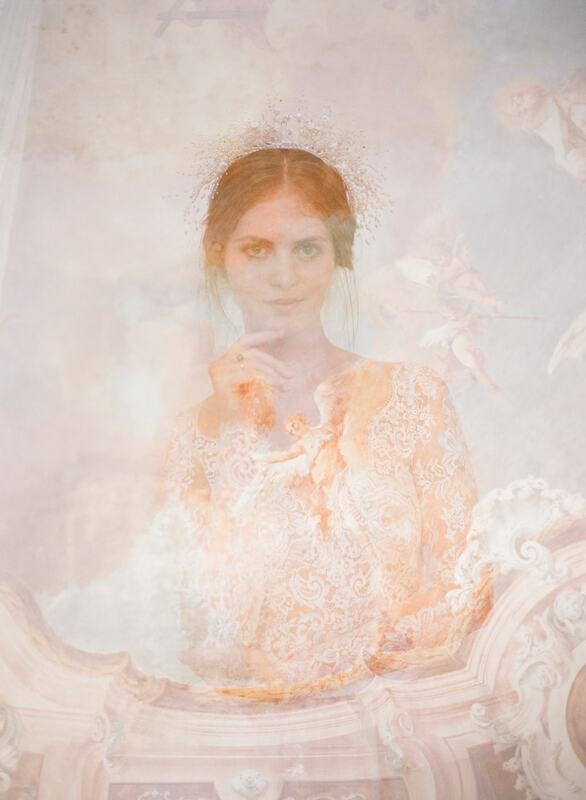 The romantic appeal is captured with dramatic settings, elegant fashion, and tasteful design. 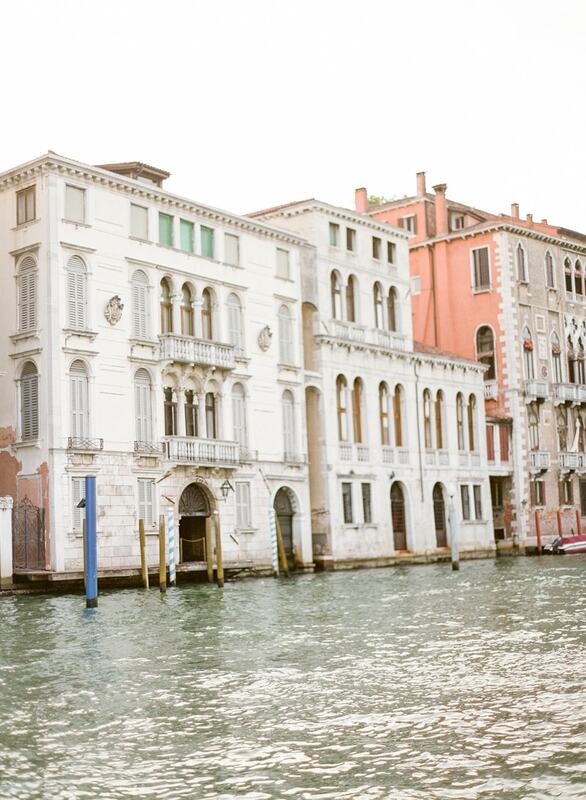 If there were ever a happy ending to the story of La Serenissima, we imagine it would look much like this.